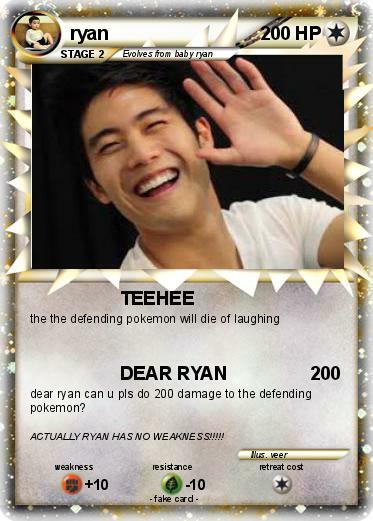 dear ryan can u pls do 200 damage to the defending pokemon? Comments : ACTUALLY RYAN HAS NO WEAKNESS!!!! !